A browser plugin that detects and prevents hate speech on platforms such as Twitter and Facebook has been selected as the winner of this year’s #peacehack, a competition designed to generate innovative and practical solutions to conflicts around the world. 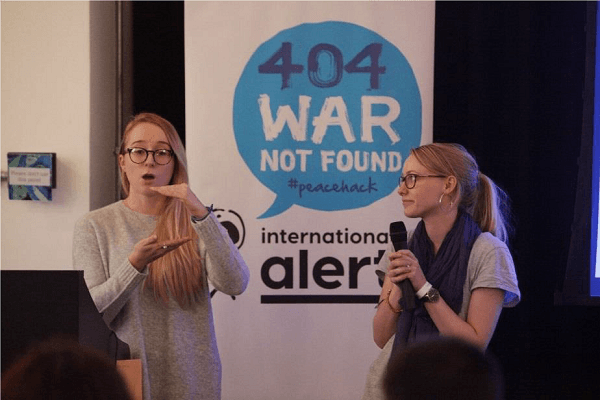 The hackathon, organised by the peacebuilding charity International Alert, took place in London over the weekend of 1-2 October 2016 and focused on tackling online hate speech in all its forms, from Islamophobia to cyber bullying. The winning product, titled Hate speech blocker, works by detecting messages containing hateful language and flags a warning to users through a pop-up window. The plugin is now available for use under the name of ‘Hate Free’ at the Google Chrome store. A demo of the plugin in action can also be viewed here. The winning idea was chosen for its versatility, as it can be effective on any social media site, online forum or discussion board. The judges were also excited by its potential use as an educational tool in schools, colleges and libraries. Overall, it is a very practical solution to a complex issue. The decision to focus #peacehack 2016 on hate speech came in the wake of reports that social media and technology are being increasingly used to bully and stir up hatred, in the UK and beyond. A new study by the European Commission against Racism and Intolerance (ECRI), published today, noted that online hate speech in the UK had soared and was linked to a rise in violence. The solution to hate speech has to be more holistic than policing, banning or repressing. It has to involve more responsible practices, ones that re-introduce nuance and encourage respectful conversations. This is where technology can play a unique role. Pupils from a secondary school in Lancashire working on International Alert’s project that aims to train Muslim and non-Muslim young people on how to tackle Islamophobia in schools. A total of 10 teams participated in the competition. Dr Sue Black said: “The #peacehack competition is so inspirational! It clearly demonstrates that technology can be harnessed to make a positive difference in the world, improving the lives of those who are vulnerable to harassment, isola-tion and bullying.” The hackathon took place as part of the annual Talking Peace Festival at Google Campus in Tech City, east London. #Peacehack launched as a small London-based initiative in 2014 and has since gone global, with local events held in Beirut (Lebanon), Washington DC (USA), Colombo (Sri Lanka), The Hague (Netherlands), Zurich (Swit-zerland) and Manila (Philippines) and past themes including countering violent extremism.